Now, you have to be careful with pisco, the grape brandy distilled in Peru and Chile. It tastes deceptively mild, with flavors of vanilla and minerals. It’s particularly smooth when made into the iconic drink, the Pisco Sour. But it’s 40 percent alcohol, just like bourbon or scotch, and it’ll getcha if you don’t watch out. Pisco’s history is disputed between Peru and Chile, even though there’s a town called Pisco in southern Peru. But it seems that Spanish conquistadores in the 1550s planted grapes in southern Peru. The best grapes went into export wine. 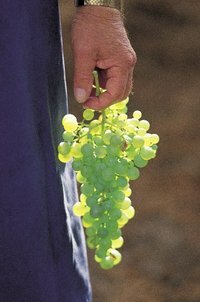 The lesser grapes were given to local growers, who fermented them, then distilled the result into pisco. Nothing wrong with that. The equally potent grape-based liquor called grappa in Italy and marc in France is fermented and distilled from from the stems and skins left over when the grapes are pressed. Anyway, from 7 p.m. to 9 p.m. at Hollywood Vine, 2035 Harrison St in Hollywood, two piscos will be poured at a free tasting that’s part of this month’s Artwalk. Herble Loebl, owner of Montesierpe, one of Peru’s oldest Piscos, will pour his own pisco as well as the pisco from Viña de Oro. The oil paintings of Rodrigo Picado are also on display. I will never buy an expensive red wine in a screw-top bottle. Part of the enjoyment of wine is when the sommelier comes to your table and ceremoniously cuts away the capsule and, with that little pop, pulls the cork. If I’m going to pay those big restaurant markups, I want something for it. Think you’d ever buy into that? Question: Does anybody have suggestions for how to cope if screw-tops ever become ubiquitous? If so, click on the “comments” Icon below and tell us. California: When I spent a year in the 1960s studying in Bologna, Italy, one of the great traditions I found was to take a big, glass jug to a wine shop and fill it with fruity lambrusco from a giant wood barrel. 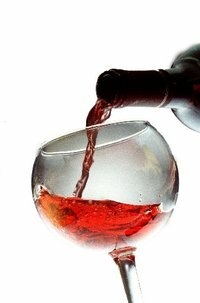 A liter of wine was 100 lire, the equivalent of 48 cents. For a starving student, this was heaven. 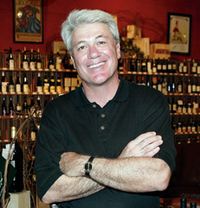 Now some California wineries, including Preston of Dry Creek, are reviving that idea. Good reason to go visit. Iowa: If you pass through Iowa, be sure to check out the Iowa Wine Trail. Wineries like Eagles’ Landing. Wines like Penitentiary Red. There’s a winery 10 miles outside Dubuque where you can get married. Colorado: And if you’re in the Rocky Mountain State, you’ll be happy to know they’ve just repealed the law banning wine and liquor sales on Sunday. Fans of ex-Miami Dolphin, current sports broadcaster and wine fan Jimmy Cefalo will remember that when his wine shop was located near The Falls shopping center, he held regular wine tastings with some pretty unusual, top-flight wines. 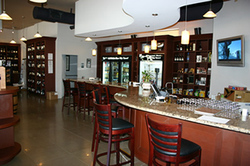 Now he’s restarting those tastings at his new Cefalo’s Wine Cellar in Coconut Grove, which opened about a year ago. The first is 7 p.m. to 9 p.m. Fri., June 20, at 3540 Main Highway. For $30 fans get a $20 card to use the Enomatic tasting machine plus free pours of Italian wines hosted by Julie Mushett of Vinifera Imports. These are some unusual wines, including the 2006 Prosecco “Millesimato” Soligo; 2006 Fiano d’Avellino, Roca de Principe; 2006 Morrelino d’Scansano, Castello Romitorio; 2005 Nero d’Avola “Chiaramonte” Firriato; 205 Primitivo Rosa del Golfo; 2004 Chianto Classico Fontodi and 2003 Barbaresco “Nubiola” Pellissero. Tasters may take home the Zafferano glass they use at the tasting. Oh, and Jimmy will be there talking football and wine. Unending road construction has taken another toll on wine in the area around Biscayne Boulevard. After 1 ½ years of construction on NE Second Ave. in Miami Shores, Sandra Stefani is closing her wine shop and gourmet store, pictured here, at 9840 on that street. “They just had me surrounded for too long,” she said. 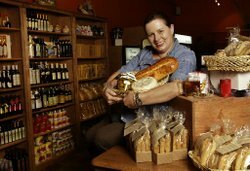 Stefani’s popular restaurant, Casa Toscana, at 7001 Biscayne Blvd., remains open, and she will continue to hold cooking classes there, as well as wine dinners and educational wine classes. So she’s still very much in business. And long-time customers who were buying favorite wines from her wine shop can still get them by calling her so she can get them from her distributor.